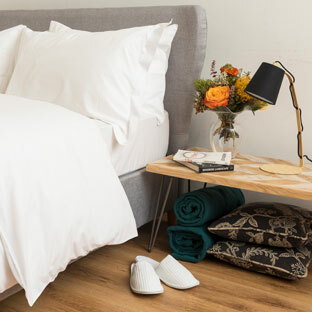 Deliver a fresh experience to your clients and their guests every day - from super soft duvet covers and bed sheets to luxury pillow cases for sleepy heads. 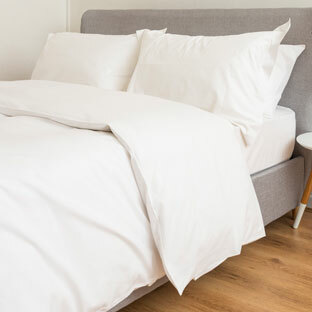 Our stylish bedding offers ultimate comfort and durability at great value prices, ideal whether you supply to or run a large-scale hotel, boutique B&B or vibrant care home. With a luxury 200 thread count, our Supreme Percale collection gives guests a comfort experience they’ll remember long after checking out. Hardwearing yet soft on the skin, its 80:20 blend and 200 thread count delivers superlative comfort, style and quality day in, day out. 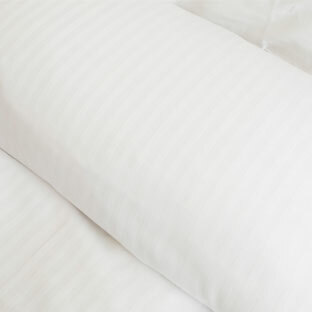 A blend of fine combed cotton and polyester yarn with a 200 thread count, the Ultima Superior range delivers an ultra-plush experience that has guests reaching for the snooze button. 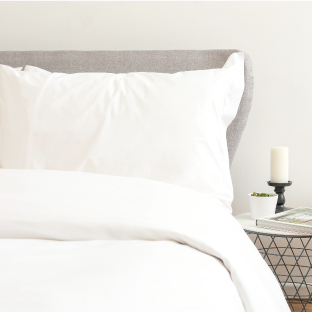 Comfortable, breathable and ultra-soft, the Ultima easy-care blended range of bed linen brings a touch of luxury to your everyday linen needs. 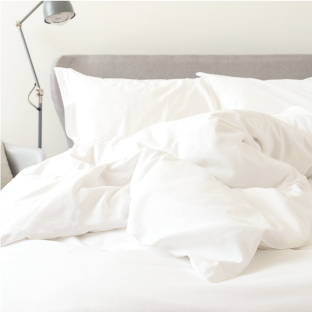 Give your clients the 'best night's sleep' experience with our high quality, exceptionally well priced Supreme range of sheets and pillowcases made from 100% cotton.